I told my feet to stop walking and looked up to admire the Portico de la Gloria. 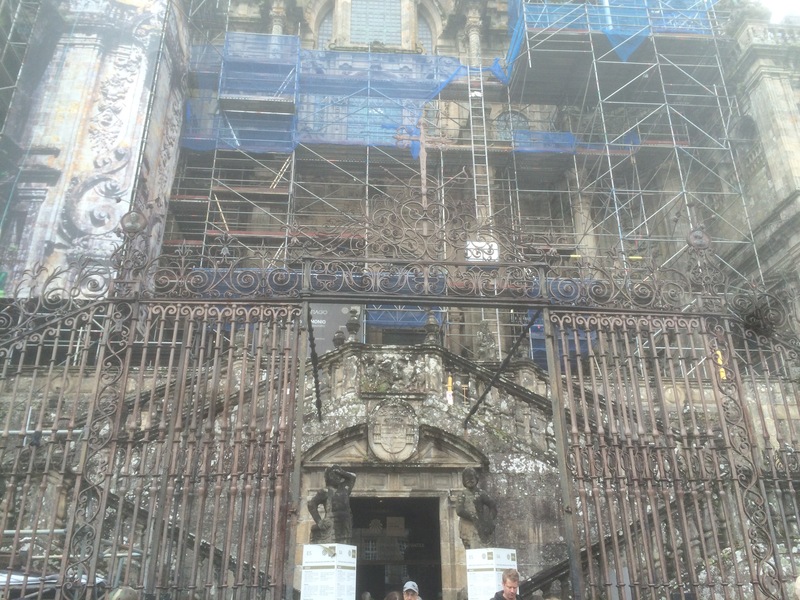 This is the doorway of the Cathedral in Santiago de Compostela, built in 1188 to welcome pilgrims to the final resting place of St James, the Apostle. Unfortunately renovation is underway so little to nothing can be seen of the Portico and you now have to enter the Cathedral via a side door. 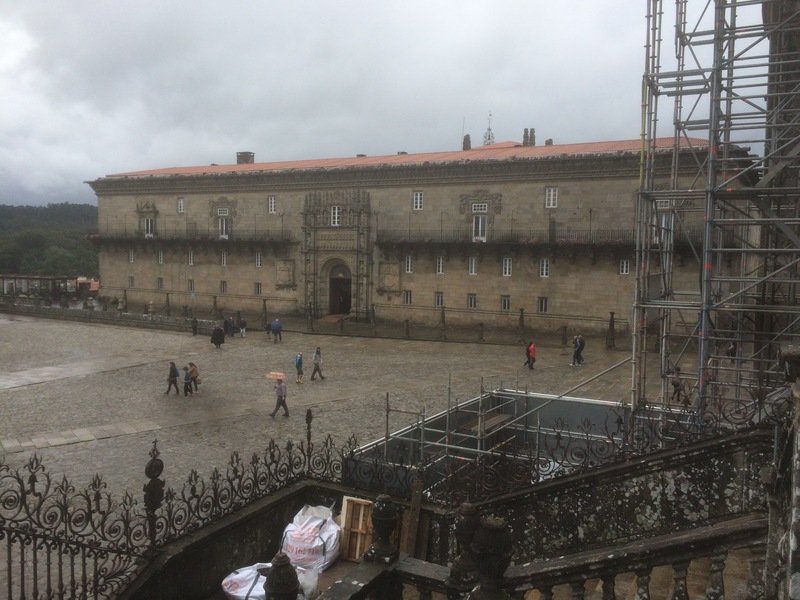 I postponed visiting the Cathedral until later and checked into the Hostal dos Reis Catolicos, a former pilgrims hospital dating from 1500 and now a Paradore hotel. 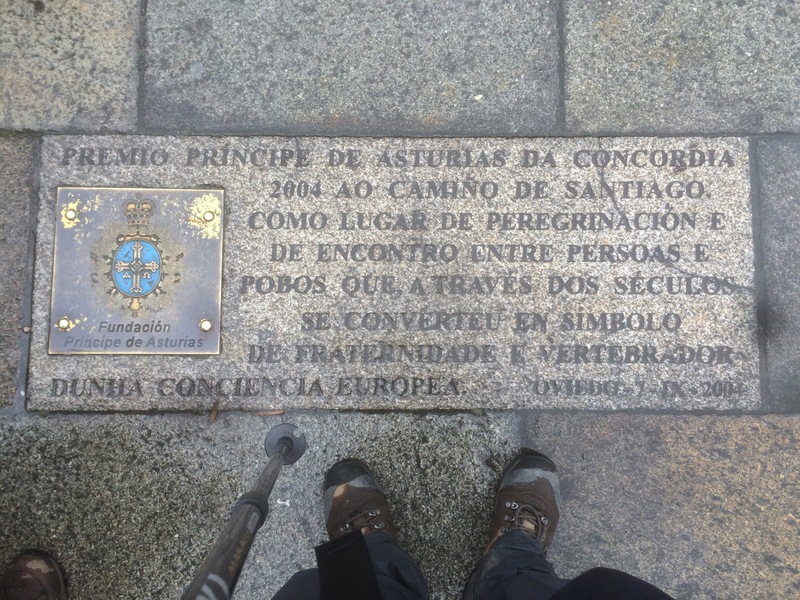 It had been a welcome relief for my predecessors who were attacked by bandits, wild animals and other pilgrims. 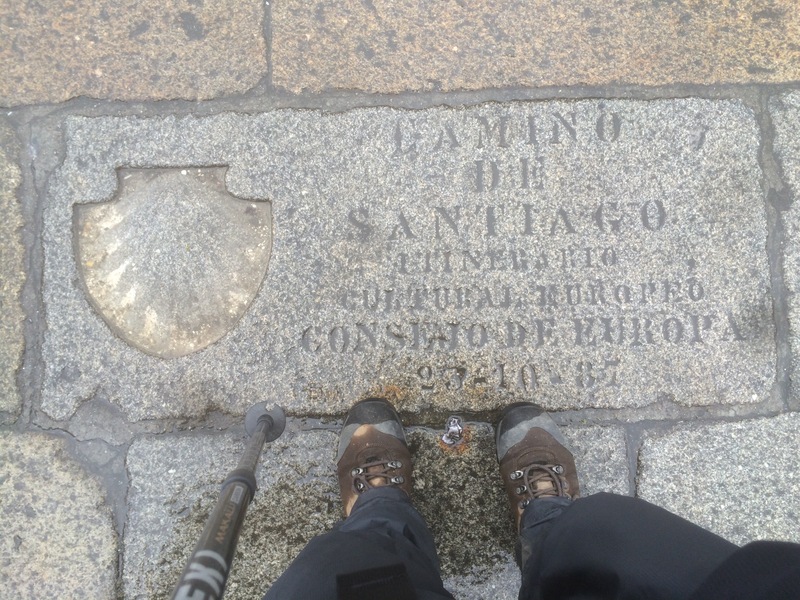 Nowadays many pilgrims stay here to experience the incredible history of the Camino. There is a self guided tour of the building. It is also a welcome 25m from the finish line. Incidentally, the first recorded pilgrims from England arrived in 1092. It becomes official at tomorrow’s mass when the names of all the new Compostela holders are read out. Congratulations Timotheum! Glad to see the weather there is the same as here. Have a fun few days off and we all look forward to seeing you next week for a debrief. Next year – source of the Nile perhaps? Thanks Mike it has been the most wonderful journey and I’m looking forward to seeing you. 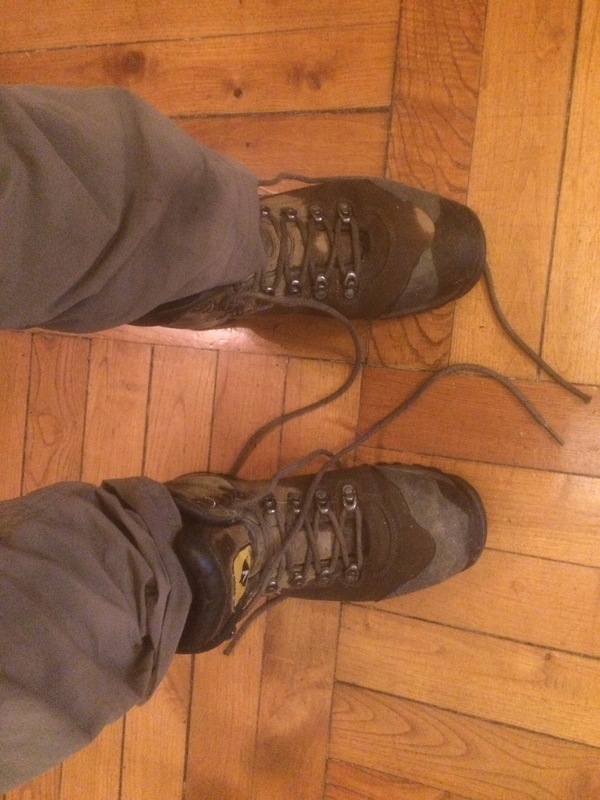 Your boots look in surprisingly good condition! Well done. 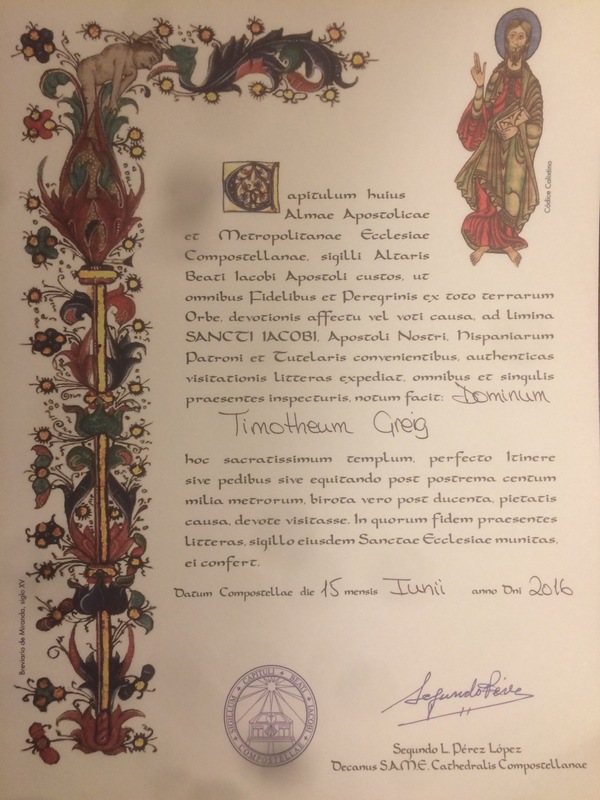 Well done Timotheum or should that be Brother Timotheum..(sounds like a monk). Enjoy a good rest now. I’m up for an OBE at least.